In June 2016 I dusted off my rucksack and boarded a plane to Ecuador. Images of sprawling jungle, incredible beaches, abundant wildlife, and towering volcanoes were crowding my mind, painting a picture of exploratory perfection. Despite my incredibly high expectations, I was amazed to find that I was not disappointed. I was heading into the fringes of the Amazon jungle where I was to be taking part as a monkey volunteer in the country’s only dedicated primate sanctuary. My previous experience of monkey sanctuaries was our amazing project in South Africa, and I was intrigued to see if there would be any similarities between them. My journey into the jungle started in Quito, from where the road climbed above the city to reach some plains, surrounded on all sides by mountains. The mountains are lush and green, and each and every one was a dormant volcano. The volcanoes towered craggy and high above the road before the road dipped down into a valley, leaving the volcanoes towering even higher. The landscape changed from agriculture to low lying forest plants, until suddenly we were surrounded by towering trees clinging on to the sides of the mountains, with a river running far below. After about 3.5 hours we arrived in the town of Banos – an adventure sports hub, offering white water rafting, bungee jumping, trekking, zip lining, canyoning – and if that is all too much, thermal springs and baths. Another hour onwards we pulled into Puyo, from where it was just 15 minutes more to reach the monkey sanctuary. On arrival there the path drops down into Amazon wonderland – the path is narrow and made of stones, with plants and flowers falling alongside along the length of the walk. 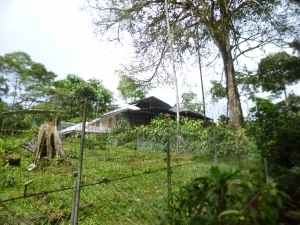 On either side are large enclosures with various types of monkey within, and at the end of the path is the main building, which is where the volunteers live, eat and socialise. On from there, the sanctuary spreads with large wooded enclosures with a wide variety of primates within. The centre itself has various enclosures for a mixture of primates. 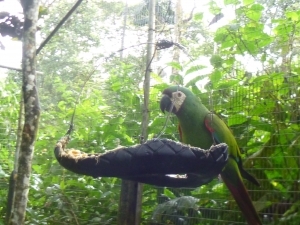 The primates live together according to what works – whether they get on with the other primates in the enclosure or not being the main deciding factor. Different species of primates are mixed in together and live alongside each other happily. 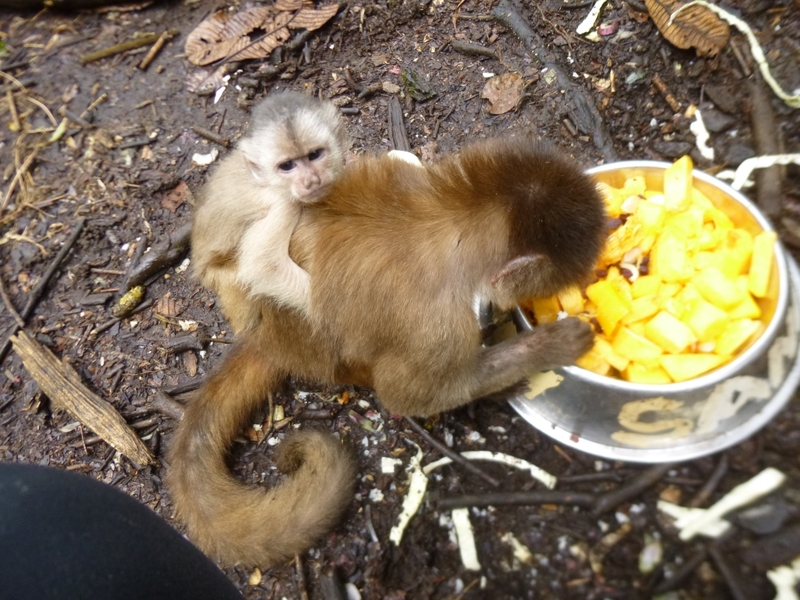 The primates include squirrel monkeys, spider monkeys, capuchin monkeys, tamarins and woolly monkeys. It was amazing to see how completely different they all were, and so funny. Most of the animals here were former pets, who suddenly became less desirable as they become older and more aggressive. Some were well-loved pets, so used to human contact that they struggle to live alongside other primates. Some were well-loved before being permanently chained or caged, as the owners struggled to know what to do with their aggressive animals. Many have come from sad backgrounds, and so to see them living a lie as close to the wild as possible is moving. Most still like to interact with humans, and they clearly view Yvan, the owner, as their father, following him as much as they can and calling to him in greeting when they see him. For this reason some of the primates are still allowed to fully socialise with humans, as this gives them comfort. I took a tour around the centre with the owner, learning all about the creatures that call this wonderfully beautiful place home, and getting increasingly excited about it! I couldn’t wait until the next day when my monkey volunteer adventure would really begin! 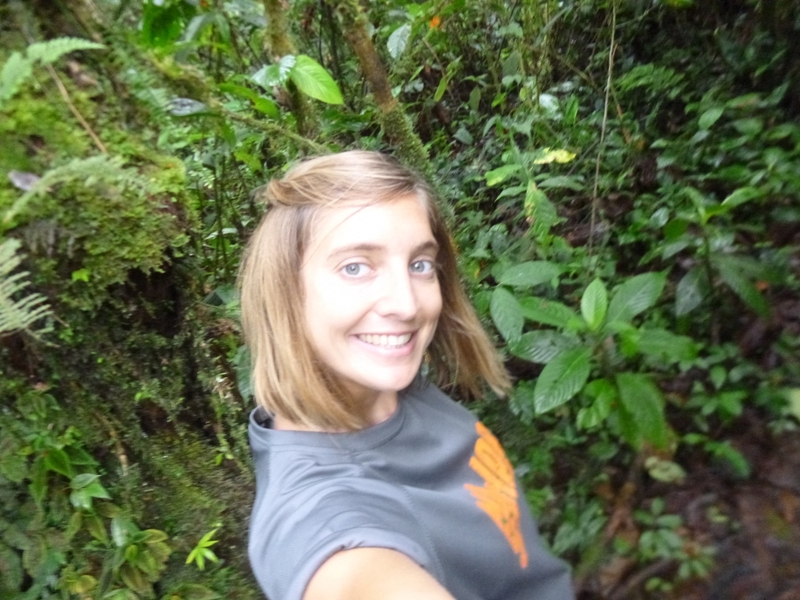 To find out more about volunteering with monkeys in Ecuador, check out our monkey sanctuary web page.